Lady Gaga had a landmark moment during her Super Bowl halftime show. While many called her performance "apolitical," she was the first performer to talk about the LGBT community in a song at the Super Bowl. Find out more here! Lady Gaga has been known for protesting. 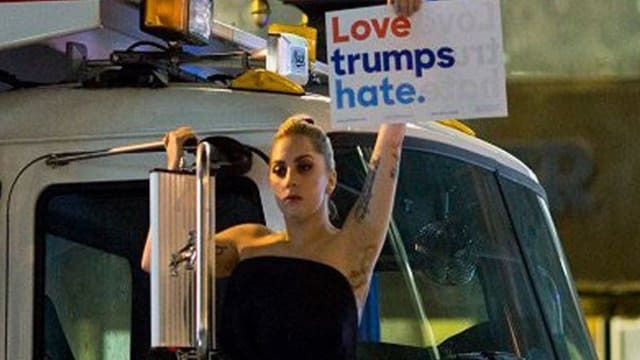 A proud supporter of Hillary Clinton, Lady Gaga staged her own protest of Donald Trump's election outside Trump Tower holding a sign that said "Love Trumps Hate"
So, many were surprised that her performance at the Super Bowl was so "apolitical." In fact, her performance was not. 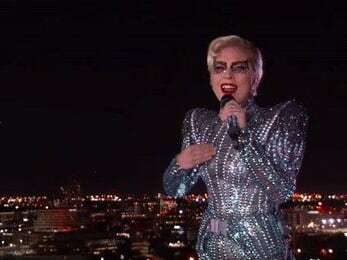 Gaga opened the Super Bowl with lines from "This Land Was Made For You And Me" which started as a protest song and recently made a resurgence as a protest song. But what was actually incredibly special about Gaga's performance was that it was the first time in the history of the Super Bowl that someone sang about members of the LGBT community. Lady Gaga herself is bisexual, but her song "Born This Way," which she performed at the Half Time Show, is a celebration of ethnic, gender, and sexual diversity. Rejoice and love yourself today ‘Cause, baby, you were born this way No matter gay, straight, or bi Lesbian, transgender life. Did you enjoy Lady Gaga's halftime performance? No, I don't really like Lady Gaga. It wasn't my favorite, but I didn't hate it.